Car Salvage North Shore has almost a decade of experience in towing, car removals and recovery of vehicles. We have a fleet of well maintained trucks working round the clock to help our customers and keep there backyard and garages clean. Not only that we offer top cash at the pickup. Give us a call before giving your car away. Our Junk Car Removal service includes free removals and towing. Our quotes for old cars are unmatched in Auckland city and suburbs. We service all areas of Auckland including North Shore. wreckers Takapuna, wreckers Papakura, wreckers east Auckland, wreckers Manurewa, wreckers West Auckland, wreckers North Shore, wreckers Huntly, wreckers Wellington. Auckland cars wrecker is one of the best and largest car recycling company in Auckland. We have branches in Hamilton, Wellington and Christchurch. Many locations means quick and reliable service. If you have an unwanted car,truck, bus, suvs, 4wds and van we remove them all. Our cash price for the car is attractive and we top price for old cars. 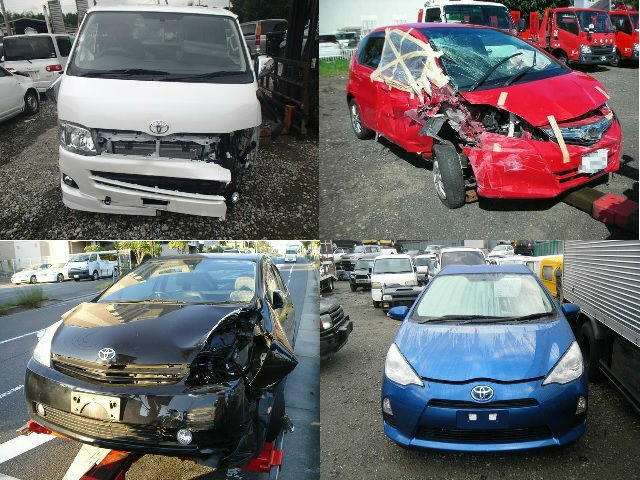 We pick up all car brands but we provide special top cash price for Japanese car brands like Toyota wreckers, Nissan wreckers, Mitsubishi wreckers, Honda wreckers, Isuzu wreckers, Mazda wreckers, Subaru wreckers and Suzuki wreckers,. Any trucks, Vans, 4wds and Suvs we pay special price. So talk to us and lets us know clearly when you have one of these brands. This entry was posted in car removal Auckland suburbs and tagged Auto Salvage North Shore, Car Salvage North Shore, car scrap removal Albany, car scrap removal Bayswater, car scrap removal Beach Haven, car scrap removal Campbells Bay, car scrap removal Dairy Flat, car scrap removal Devonport, car scrap removal Glenfield, car scrap removal Helensville, car scrap removal Red Beach, car scrap removal Rosedale, car scrap removal Silverdale, car scrap removal Takapuna, car scrap removal Whangaparaoa, car scrap service Orewa, car scrap service Warkworth, scrap car valuation on September 27, 2016 by Cars Wrecker.